What are the Cracking Concepts Games? 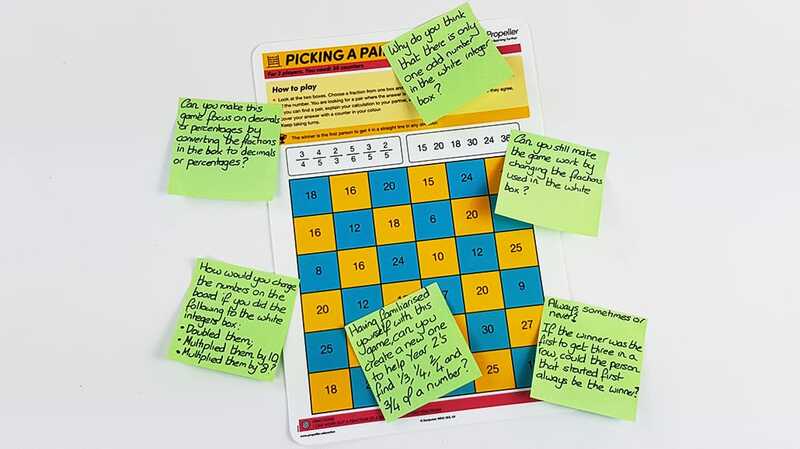 Our Cracking Concepts Kits are a range of 320 whiteboard games that focus on strategic thinking. Players can learn, revise and apply key mathematical concepts as they strive to conquer their opponent. They come in concept specific class packs of 20 games with enough equipment to play every game simultaneously. At the bottom of each game there is a coloured target bar that explains the skills and concepts that you will be practising as you play. 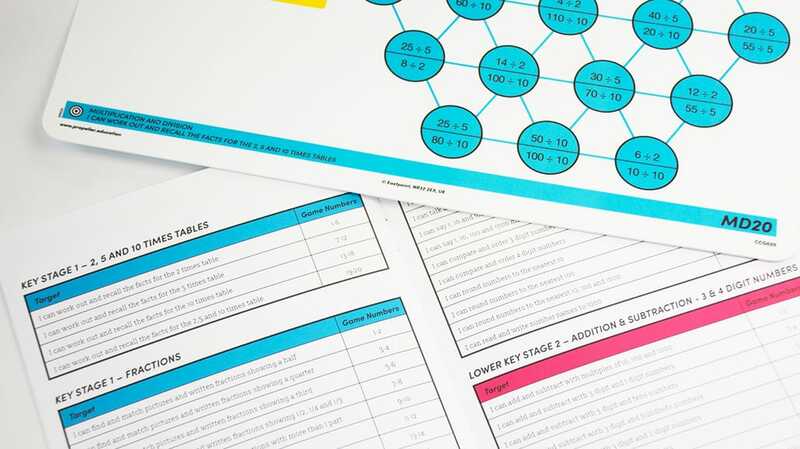 If you know that there is a particular area of maths that you wish to practice, why not use the ‘Games Targets’ map in the teacher’s guide that links all of the games in the kit to the National Curriculum. The coloured bar found at the top of each game will tell you the number of players that are required, along with the equipment needed. All of the equipment for every game can be found within the kit so no need to worry about finding equipment from around the classroom. How will I know how to play the game? Each Cracking Concepts games has instructions located in the yellow ‘How to play’ section. Every game has clear instructions as they have been designed to be read and understood independently by children. Of course, they are printed clearly on the game so you can always refer back to the instructions if you forget how to play. Once the games have been played, you may want to experiment with “What would happen if” questions by adapting the rules. For example, What would happen if I had to get 3 in a row instead of 4 in a row? Could I always win if I was the first player to start the game? How about if I have already played the game before? The Cracking Concept Games have been designed to be played multiple times; whether this is to apply strategy as you become more familiar with the game, to improve speed of key facts or to develop your own adaptation by modifying the rules. Both the games and your mathematical understanding improve the more times you play. What do I do when I finish the game? Consider what you have learnt from playing the game. If you were to play again what could you improve? Have a go to see what happens. If you were the first player last time, repeat the game allowing your opponent to begin. Does this affect your chances of winning? Watch other players try out your game, what hints and tips could you make to them? What can you learn from watching their tactics and strategies? Take on the role of ‘expert’ and teach a new person how to play the game. How good are you at explaining the instructions? Playing in pairs or team against team. Which team can be crowned the supreme champions? 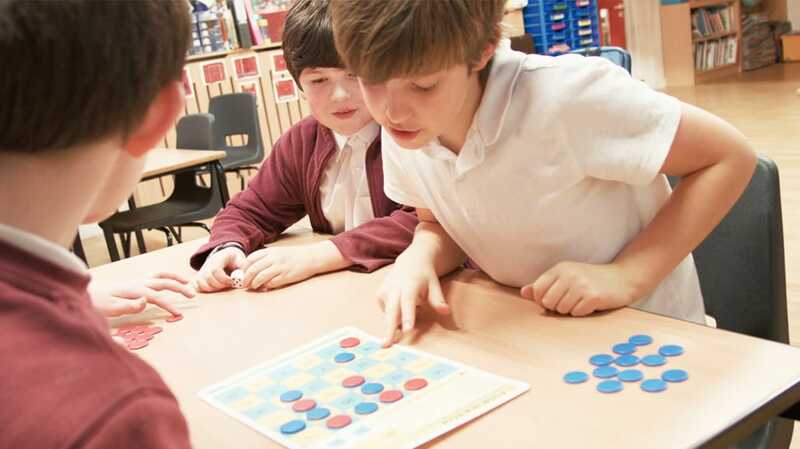 Using the games as an extension activity to apply what you have learnt in your maths lessons. Taking the games home and playing against a member of the family. Can you explain clearly what to do and (once you have won at least five times) teach your opponent the successful strategies that you have adopted. Using the games as an ideas bank for you to then create your own. Perhaps you could create a game that needs to apply a key skill for a younger year group. Take your game to them and teach them how to play. How did they get on? Making boring wet playtimes a thing of the past. Why not have an ultimate Cracking Concepts contest involving anyone who wants to get involved?